The last stop on Beer O'Clock's European tour was Tallinn in Estonia. I've had a couple of Estonian lagers before and was quite impressed with the quality so was looking forward to checking out the full range of beers available. Estonia's supermarket beer range was probably the biggest of any country we've been to on this trip. It was mostly dominated by different brews from the two big companies, Saku and A. Le Coq, with a smattering of micro's and foreign imports. A. 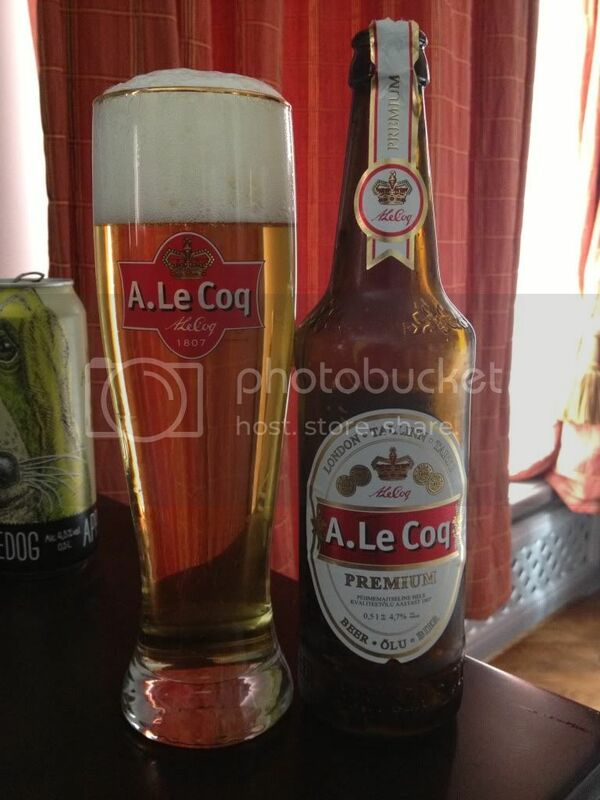 Le Coq Premium was the beer I had the most of in Estonia. As you can see from the photo the beer pours brilliantly. It's not a particularly memorable lager, but that can also be a good thing. Personally I think it's a little boring by itself, but when you have it with food it really comes into it's own. Some of A. Le Coq's other notable beer include; the Porter, the Double Bock (for how terrible it was!) and the Imperial Ale. I'd recommend trying the Porter and the Imperial Ale. The Porter is a good example of the style while the Imperial Ale is a good change from the monotony of lager. They are also the makers of Viru, a lager I have reviewed here before. The other big Estonian brewery is Saku, which is also available in Australia. The Saku Originaal tasted as expected, from my knowledge of it back home. I was particularly impressed by the Saku Kuld, an export style lager. The Pilsner was a little disappointing and light on hop flavour. Estonian beer drinkers are becoming more savvy about what they drink and this is inspiring the breweries to start producing a wider assortment of flavours. Saku Dublin is a Cream/Irish Red Ale cross, and although not very good is at least a different flavour. 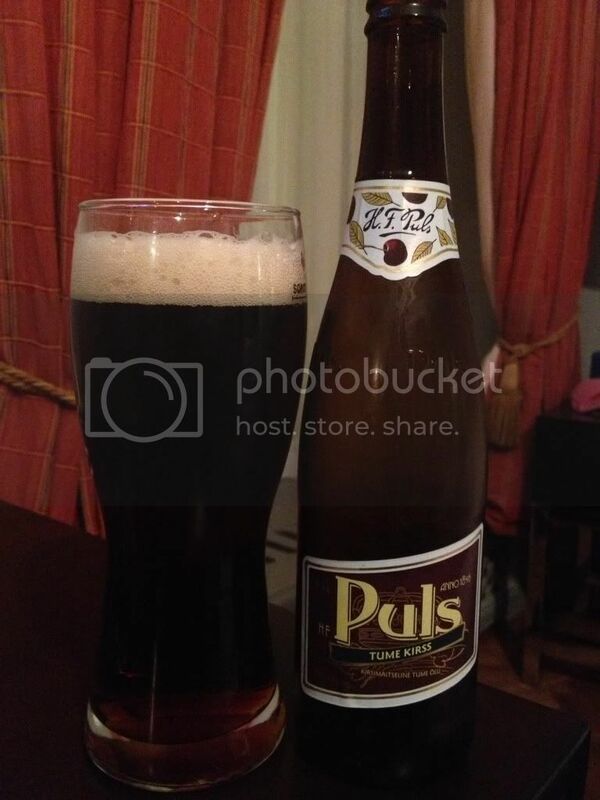 H.F. Puls Tume Kirss, or Dark Cherry, was a really enjoyable beer that has apparently gained a little cult following, even amongst the older Estonians. One afternoon we were looking for a shop Lizzie wanted to go to and stumbled across this great little pub & bottle shop. They specialized in international craft beer and positively had the Ashes on TV. The food is really good as well. It's called Drink and it's located in the Old Town at Müürivahe 15. Despite us already having heaps of beer, 3 beers came back from the shop. 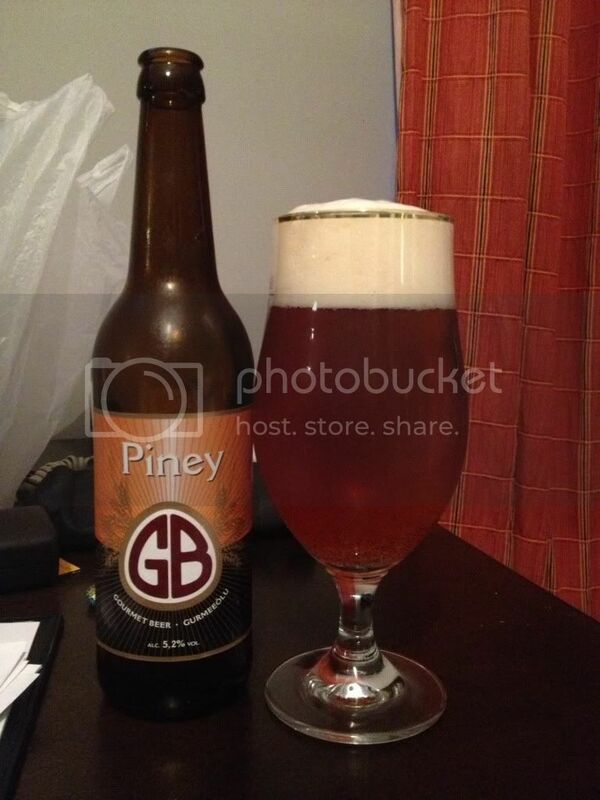 The first was Gourmet Beer's Piney, my first proper Estonian craft ale. It's a Pale Ale but I was left disappointed by the relatively mild flavour. 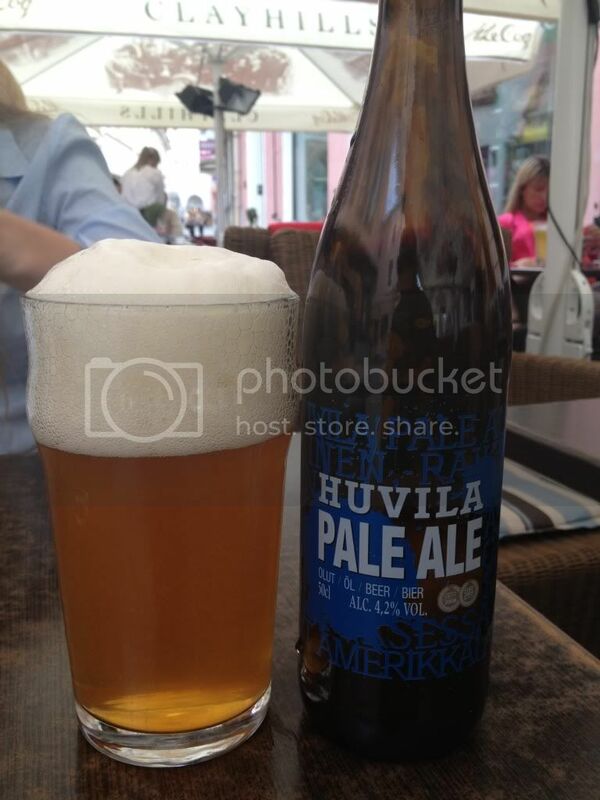 Olleklubi was an Estonian craft brewery who didn't skimp on flavour. 2 of their beers were exceptional, while 2 were very run of the mill. If you do go to this brewery, order the burger and add blue cheese and bacon; Incredible! Finnish craft beer is good! The other beer that I bought from Drink was one I have been searching for for 3 years! Who'd have thought Tallinn, of all places, would be where I'd find it! Xingu is a Brazillian Schwarzbier that I have wanted to try ever since my alphabet challenge.It was nothing spectacular but I'm glad I've ticked that off. Being very close to Finland it seemed only logical that there would be Finnish craft beer around. The Huvila ales are produced by Malmgård brewery and I sampled two of them. The Huvila Pale Ale, pictured right, was a really good example of an American Pale with plenty of citrus hops. While the Arctic Circle Ale was the first Sahti (a Finnish specialty beer) that I've ever had and I thought it was sensational. Definitely look out for these beers and if you see any buy them! This may seem like an odd thing to say, but I think that Estonia had the most varied range of readily available beer of any of the countries I visited on this trip. From big breweries with a wide range of very serviceable beers to tiny micro's with a good understanding of how beer should be produced. Drink and a number of other venues around Tallinn are spreading the word about craft beer and it is becoming the norm for young Estonians to drink better rather than the macro swill. If you are in Tallinn definitely check out the craft beer scene, it's growing quickly and we will hopefully be hearing alot more from it soon! Until the next trip this segment is retired! Europe, it was fun!